But before we go there, last week I received a complaint from Department of Child Safety (DOCS) that has called into question my relationship with this radio station. [So I wish to address this first]. Well that time has come. So my relationship with Zed is coming into question, so let’s take up that story. In 1975, I lived in a share house near the University of Qld. Two of my housemates were Andrew and Brenda (known as Pic). Pic was one of the first women bus drivers in Brisbane. Pic was employed under equal opportunity policy introduced by the Whitlam Labor government [in 1972]. Women were moving into what was then referred to as ‘non-traditional’ work. 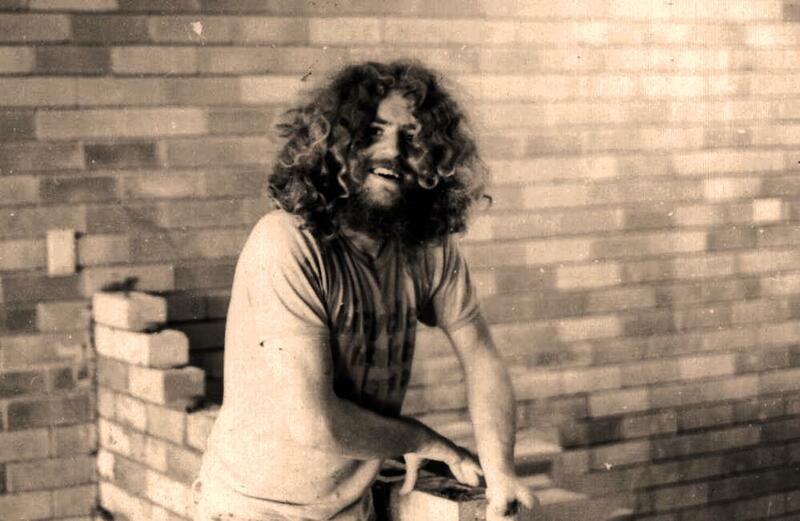 Andrew and Pic both helped build 4ZZZ under the old refectory at UQ. So did a number of other lefties. They laid the bricks, built the studios, and even brought in a baby grand piano and bricked it into one of the studios. I later helped out at 4ZZZ myself. Eventually a show made by the Civil Liberties media collective in 1977 (I was in this collective) was banned on 4ZZZ. The show was about the Fraser government’s decision to mine and export uranium. The station manager Denis Reinhardt (later a journalist and failed mining entrepreneur) said that the program was technically poor. The real reason was that an interview on the 30 minute show had put a federal senator, Neville Bonner, on the spot. Neville Bonner came out against the interests of his own people in favour of the Liberal Party and supported the decision to mine and export Uranium from country. Zed wanted a high power transmission licence and did not wish to offend a Federal Senator. So they banned the show [that was opposed to uranium mining and export]. Over three thousand people were arrested in the streets of Brisbane for illegal street marching during that time. Just what did the people who ran Zed think its political base was? In 2011, I returned to Zed at the invitation of Eliza from the Paradigm Shift (podcasts are at PShift). I always found the first song played on 4ZZZ quite ironic. Now lets go forward to 1988 when Zed was under pressure yet again. This time Zed was under attack from a cabal of right-wing students at University of Queensland. This is a report from Radical Times about attempts by UQ student union president Victoria Brazil to evict 4zzz from the student union building in 1988. These highlight the difficulties of running community radio stations in Australia [where freedom of the press is not guaranteed]. “On 14 December 1988, 4ZZZ was taken off air and forcibly evicted from its Students Union premises by a hostile, right-wing students-union executive led by student president, Victoria Brazil. 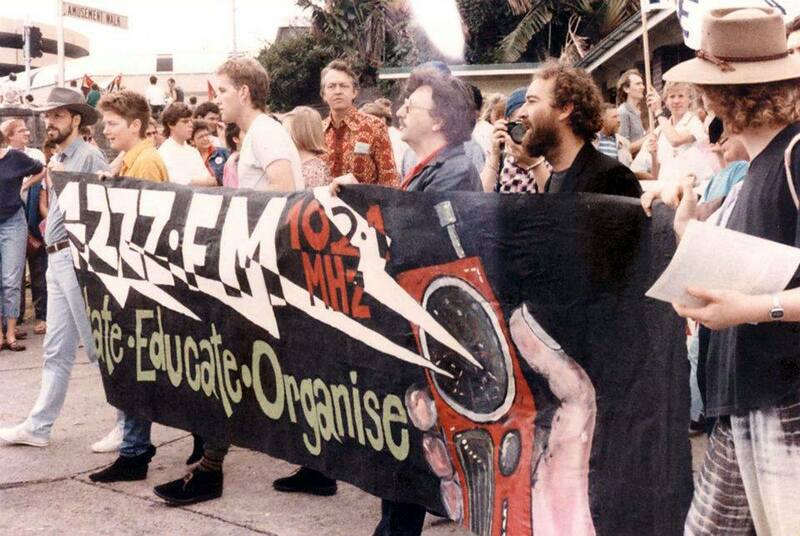 After a sit-in by supporters at the studios, 4ZZZ eventually regained the airwaves. Six months later, 4ZZZ decided to move off campus, firstly to temporary premises on Coronation Drive in the nearby suburb of Toowong. That was a news report about the events of 1988 when a national party puppet tried to shut down 4zzz. This demonstrates how difficult it is to run a radio station that takes up a political position. Both mainstream news reports are factually in error about the reasons for closure of 4zzz … but that is another story. To listen to 4ZZZ eviction broadcasts go to the Radical Times Historical Archive, scroll down to the section on 4ZZZ, and click on this thumbnail image at position 4D. When you go to the Radical Times web site and click on this thumbnail image you can hear the podcast. One of a series of emergency broadcasts sent out from the transmitter hut on Mount Coot-tha to rally public support immediately after the eviction, can be heard starting at 3′ 10″ and ending at 6′ 32″. The truth is Zed had sufficient political support to keep going at UQ as demonstrated by the 1,000 people who turned up (I was one) to defend the station on 14 December 1988. The full story behind the departure of 4zzz from the University of Qld is yet to be told. What were the staff who made the decision thinking when they left? Was it even a political decision? To give an idea of the level of support, Ross Watson, the founder of Murri Radio (98.9FM), who passed away last year, was on hand to give support to 4ZZZ. Communist Party of Australia virtually gifted its building in at 291 St Pauls Terrace, Fortitude Valley to 4ZZZ by selling the property for only $225,000 to Creative Broadcasters where Zed remains to this day. [This statement is based on the discrepancy between the sale price and the market value of the property in 1992 and the fact that the CPA had already been liquidated by 1992]. Both news reports were factually wrong – for example the ABC report was wrong to say Zed was a ‘University radio station’; from 1975 Zed had a special broadcasting licence granted originally by Moss Cass (ALP) and then by the Fraser (Lib) government. It had an educational component but that was not tied to the University. To this day (perhaps ironically) Zed’s slogan still proclaims: ‘Agitate, Educate, Organise’. Even though it turned out to be a disappointment politically, Zed survived as the only community radio station that came out of the Left in Qld. Zed came out of the anti-war movement during the war in Vietnam [a war that saw millions of Vietnamese people killed, 58,000 US soldiers and 500 Australians]. Please note that the comments below dated prior to 18 April 2014 relate to an earlier version of this post. I have included them here so that different perspectives to mine are aired. This entry was posted in community, Environment, government, radio, Recent. Bookmark the permalink. In 1988 then president of the University of Queensland Student Union supported by the Queensland Government attempted to evict radio 4ZZZ from its premises at the University. Here is the Eviction Report prepared by 4ZZZ at the time. Over 1,000 listeners and supporters turned up to defend the station. At the time 4ZZZ had about 95,000 listeners according to Rating Agencies. In the podcast starting at 3′ 10″ and ending at 6′ 32″ is one of the emergency broadcasts used to rally support. It was broadcast from the transmitter hut on Mount Coot-tha. Will history repeat itself? If it does, how do we defend community radio? 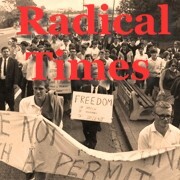 Thanks to Peter Gray and Radical Times for this podcast. I was a member of the the media collective of Civil Liberties Co-ordinating Committee. We were taken off-air at 4ZZZ in 1977 for political reasons — station management censored our criticism of Fraser government’s Uranium Decision because they wanted a high power broadcasting licence from the same government. One response we made was to ‘broadcast’ in the forum area at University of Qld at lunchtime, mainly on Wednesdays. We later called this ‘Afternoon for Change’ and ran alternative films in the student union building nearby. The films we showed included “Palestine Will Win”, ‘Last Grave at Dimbaza’ – a film about apartheid banned in South Africa, ‘Inside North Vietnam’ – showing conversations with the Vietnamese resistance, including an interview with a captured American bomber pilot. I remember we showed the film about the Freedom Ride led by Charlie Perkins to Moree in Northern NSW. We also showed a film about the BLF green bans in NSW and another about the murder of Wanita Nielsen by Sydney developers. In the forum area we (JM and I) set up a model radio studio. We called ourselves 4PR – the voice of the people. We used ‘sound waves’ to transmit to lunchtime visitors to the Forum area. We interviewed passersby and performed skits and played music. Later we put on a play called ‘The Public Trial of Bjelke-Petersen’. There was a rumour on campus that Bjelke-Petersen was to be there in person. A very large crowd gathered and witnessed the spectacle of the Premier of Queensland being put on trial. Unfortuneatley Joh didn’t show up. I recall the closing line of the play — “after the trial was over, everyone went to the coast (Surfers Paradise)”. Its hard to say, but on the way down the coast they may have been listening to 4ZZZ on their car radios replaying ‘We Won’t Get Fooled Again’. After all, 4ZZZ did get its high power licence. Then and now, people do want to change governments, but we need to change the system. We should not point the finger solely at 4ZZZ for pretending to be radical or revolutionary or for seeking Left cover, or tapping into movements for change when it is cool to do so — Zed is but one organisation among many who sought not to organise to change the system. A response from another founding member of 4ZZZ, John Stanwell. You might remember me. I’m one of the founders and early staff members at 4ZZZ-FM, and I’m in Peter Gray’s footage (above). 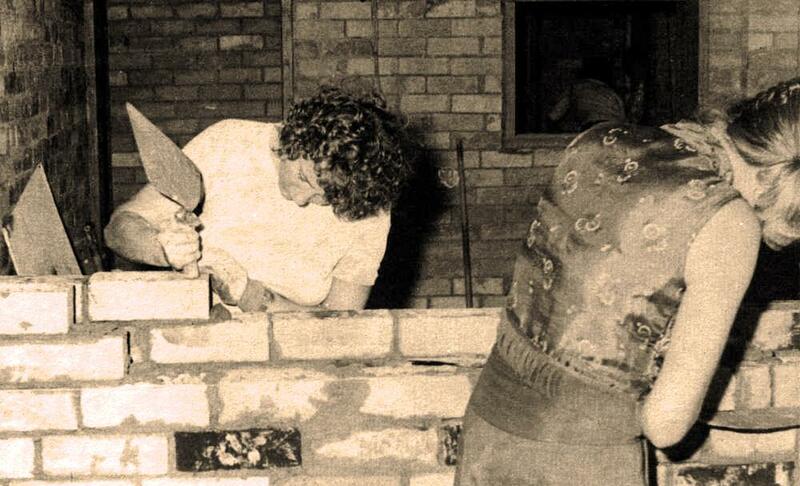 I remember Pic and Andrew very well – they were heavily involved in the construction of the studios in late 1975. 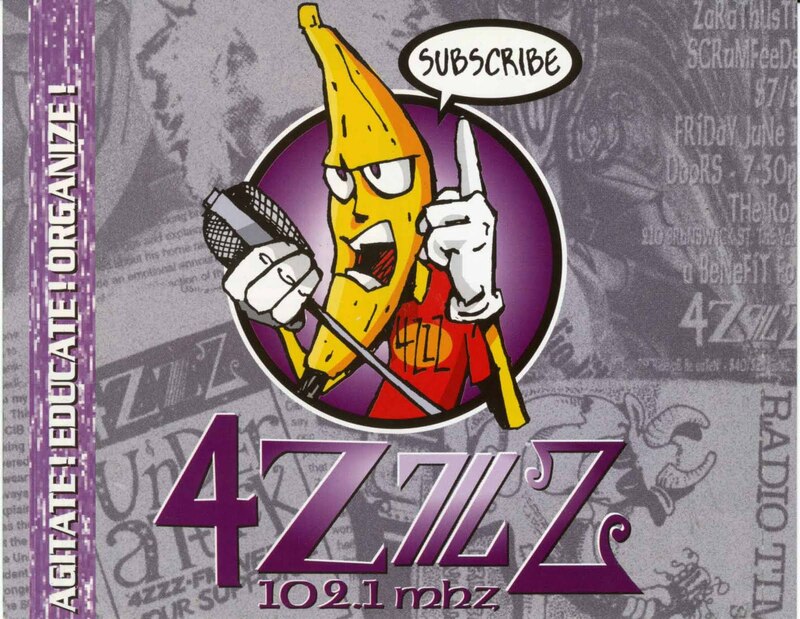 4ZZZ-FM has had many distinct iterations since then, and I daresay all of them had both good and bad points. The fundamental debate at the station in those days was whether it was going to be a legal station seeking to influence a large audience, or a megaphone “preaching to the converted”, and probably taken off air by the authorities (as the Draft Resisters Radio had been in Melbourne a few years earlier). The massive effort that went into planning for, building and running 4ZZZ-FM was possible because the vast majority of those involved believed strongly in the first approach. And this inevitably meant some compromise. I had moved on by the time Denis Reinhardt had become Station Coordinator, so I can’t comment on the specific incident you raise. However I will say that even Denis (who I agree was a “colourful character”, even for 4ZZZ-FM) would probably not have been able to ban a program, and make it stick, without the support of other key staff at the station. The “experimental” licence that 4ZZZ-FM (and a small number of other stations) was offered in late 1975 came with a new Minister in (what turned out to be) the dying days of the Whitlam government. We were still building the station (probably just a couple of weeks after Peter Gray’s footage was taken) when G-G John Kerr sacked the government. After some initial outrage, we went back to building the studios, and quiet negotiations began. They wanted us to be a “university” station, even though that wasn’t whom the licence had been offered to, so we created a slab of “educational” programs. This confused the listeners; gave new power to the megaphone faction; encouraged the creation of a revisionist version of the station’s history and purpose; but, most ironically for the new conservative government, produced moments of far more stridently-radical broadcasting than that planned for or then heard on the core station. They also sent bureaucrats along with the ASIO files of troublesome former student activists involved in the station, and the station was forced to demote both Jim Beatson (Station Coordinator) and myself (Financial Coordinator). This was particularly galling for Jim who was the true “founder” of 4ZZZ-FM. Finally, we postponed the opening by a week, and then the new Fraser government signed our licence, and the station went to air on 8 December 1975. I suspect you were right about the real reason that your show didn’t go to air back in the day, but I should also note that striving for high quality on air was always a core (and demanding) goal at 4ZZZ-FM. We insisted that all announcers (paid and volunteer) do training and/or an audition. Technically-bad material was rejected unless it was from an irreplaceable (and usually external) source. We also spent scarce dollars on LP’s (before the record companies realized the benefits of giving us back-catalogue and obscure artists) so that we weren’t beholden to individuals with good record collections (as was common in some stations). As to “Won’t Get Fooled Again”, we were well aware that it was a less than ideal choice, but it was the best of a bad lot. We needed a rock anthem, and we needed to make a non-Party statement about the political atmosphere of the time. 2JJ (AM) went to air in Sydney earlier the same year with Skyhooks “You Just Like Me ‘Cause I’m Good In Bed”. Not a great song, and of questionable values, but it was chosen because it had been banned for broadcasting. I can appreciate your personal disappointment with the incident you raised, but it’s a stretch to say that 4ZZZ-FM “turned out to be a disappointment politically”. In my view, 4ZZZ-FM was mostly good most of the time, and astoundingly it’s still there after 36 years. More importantly, 4ZZZ-FM, and that means the people who built the station and kept it on air, did exactly what they set out to do all the way back in 1975. Thanks Jim for your honest appraisal of the practical difficulties faced by Zed in its early years. It is true the station was confronted by a reactionary state government in Qld. that had been in power since the Labor split in 1957. In your response, you emphasise the need to compete with commercial radio for an audience in going for a high power FM licence. There is another perspective that I would have readers consider, especially given you indicated that you were absent during the crucial years after the higher power licence was granted by the Federal government in 1977 (? I think). You mention the political climate of the period. At the time, there was a democratic rights movement that challenged the Bjelke-Petersen government on the streets by defying his street march ban from 1977-1979, resulting in thousands of arrests. Consider the effect of a community radio station like 4ZZZ throwing its wholehearted support behind such a movement in a risk-all challenge to the government of the day. Ok, you would have risked your FM broadcaster’s licence. If the Federal government had decided to back Bjelke-Petersen, Fraser may have taken 4ZZZ off the air. They may have done to Zed what the station manager at 4ZZZ (Dennis Rheinhart) did when he banned the Civil Liberties radio program. An alternative scenario was possible – the board of Creative Broadcasters (the holder of the licence) could have helped organise and co-ordinate the demonstrations against the government in a direct challenge to the Bjelke-Petersen government. So, rather than the youthful curiosity of triple Zed announcers being focussed on whether Malcolm Fraser’s trousers were up or down, they could have been on hand at Hamilton wharves when anti-uranium activists sat on the railway tracks to stop the uranium train from going through. Would it not have been a tonic to the ears of people everywhere to hear the call come up from the assemblies and marches around the state: ‘Where’s 4ZZZ, the voice of the people?’ — a call on the airwaves to support the defiance of the people as police moved in! Isn’t this what is happening on the streets of Cairo, Alexandria and Damascus today? Only it is the internet calling for an end to oppression on the Arab street! If ‘progressive and hardworking’ people at Zed had thrown in their lot with the democratic rights movement in 1977-1979, you never know, people may not have had to put up with the repression of the years that followed from 1977-1989. With Bjelke-Petersen gone, 1002 South East Queensland Electricity Board (SEQEB) workers may not have been sacked, indigenous people may not have been left to rot and die in Queensland jails, women may have had the right to control their own bodies and workers could have had the right to organise in their workplaces. Ian Curr’s comments are mostly correct (I wasn’t around when the events he describes occurred) I think the outline of events below will set the story straight. 4ZZ/4ZZZ from its inception was envisioned as a product of Brisbane’s extraordinary radical movement. It planned to combine the best in contemporary music, expert and fun presenters, comedy and a newsroom that employed reporters who actively engaged with the body politic, not just whined on about politicians, the police, business and mainstream media, ta mode virtually all other politically conscious public/community broadcasters like 3CR and 2XX adopted. The founders of 4ZZ/4ZZZ using presenters who knew more about music than those at commercial radio, comedians who were funnier than those employed by commercial radio, and reporters who were superior in every possible way to those employed by commercial radio believed they could beat commercial radio at their own game in winning a big audience. Given from day 1 only a minority of Bris citizens owned an FM radio this required the station to have a signal that could be heard throughout greater Bris. 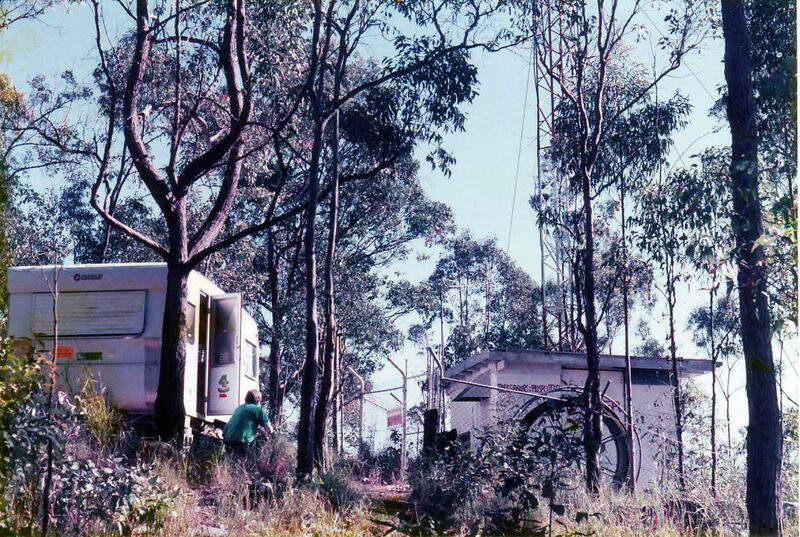 Because of the technical nature of FM this meant the station needed to be on high power (10kW erp) from Mt Coot-tha. In late 1975 the Whitlam Government offered 4ZZ/4ZZZ a high powered licence. 4ZZ/4ZZZ staff knew that it should never start broadcasting on low power because once it showed its hand it would never be allowed to to full power. So 4ZZ/4ZZZ ordered a high power transmitter and antenna from the US. Writing was on the wall that if an election was called in the crises atmosphere caused by the Opposition denying the Whitlam government’s money supply, Whitlam was certain to loose. 4ZZ/4ZZZ tried to hurry the arrival of the high power transmitter and antenna. We were told it was lost on the New York shipping docks. Kerr sacked Whitlam before the 4ZZ/4ZZZ licence was issued. What to do? After a lot of soul searching 4ZZ/4ZZZ decided to go to air on a home made transmitter from an antenna atop the Schonnell Theatre tower (barely above sea level) believing if we didn’t start asap the Fraser Government would refuse to issue any kind of licence. Even then it was only because of 4ZZ/4ZZZ’s clever use of blackmail with the Fraser Government’s implied threat to other stations awaiting licences that we received the low power licence. 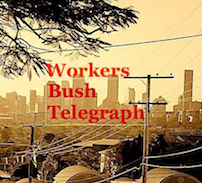 But we knew that our dream was only financially possible (today it would be called our ‘business plan’) if we could broadcast to all Brisbane, not just the suburbs near the Schonnell tower. Yes you could hear 4ZZ/4ZZZ anywhere but only if listeners purchased a very expensive radio and antenna. So what to do next was very difficult. I was secretly rung by the Fraser’s Media Minister’s secretary, to say all the extensive ASIO police records of all 4ZZ/4ZZZ staff were on the Minister’s desk. Then 4ZZ/4ZZZ was told a senior Media Department staffer was coming to Bris to check us out. Today it is hard to imagine this would mean much. But in this atmosphere of the time it was clear I had to go and and we needed to look like clean skins. 4ZZ/4ZZZ survived but with frequently bitter debates within the station as to what strategy should be adopted to get to 4ZZ/4ZZZ to high power. Part of one strategy (which I, like the station majority of workers, supported) was to lay low while trying to the high powered licence. A side issue was that some of the ‘lets fight the bastards faction’ within our band of volunteers were not very creative or experienced with radio so their programs were often crude or technically inept, like some of the those from the non-political volunteer presenter/producers. I was not involved in the employment of Denis Rheinhart, although its quite likely I would have supported it had I been involved. Whatever my criticisms of DR today, and they are many and strong, at that time he was progressive, smart, passionate and hard working. It took five very difficult years filled with many bitter internal battles, before 4ZZ/4ZZZ moved to Mt Coot-tha when it quickly returned to the original dream. And became at that time, quite likely, the finest youthful radio station in the world.